Hi! My name is Alex and I have been interested in birds since October of 2011. It's a shame I didn't become interested in birds when I was born in 1999; I missed quite a bit of birding time! Ha! I first became interested in birds when I had to do a 4-H project involving birds. At first, I wasn't very excited about the project, but after talking to a naturalist about it at the state fair, I became curious about these animals. That naturalist put me in touch with a bird banding program leader who invited me to attend a banding session for Northern Saw-Whet Owls. We caught an owl! When I saw that adorable little owl, I was hooked! Since then, I have tried to assist birds (and the rest of nature) in as many ways as I can. 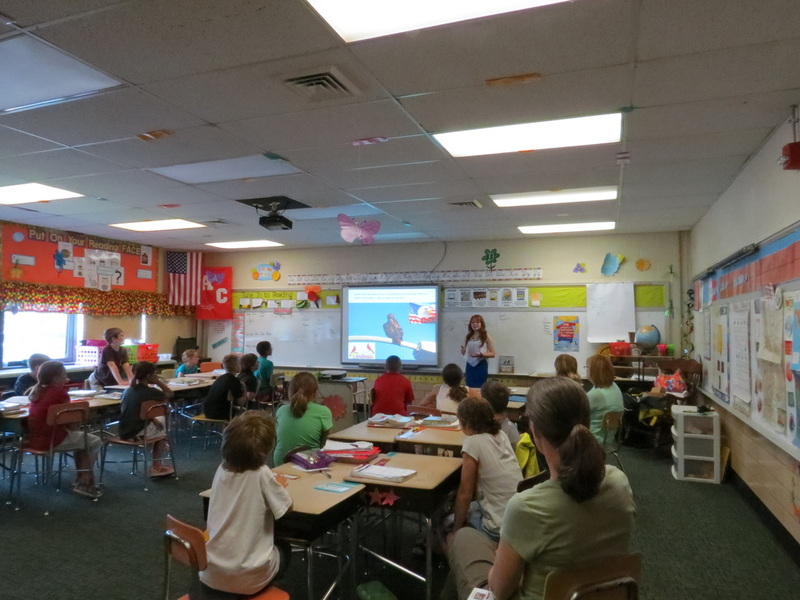 For example, I volunteer for several organizations, I've created educational outreach programs and I give presentations across the state. 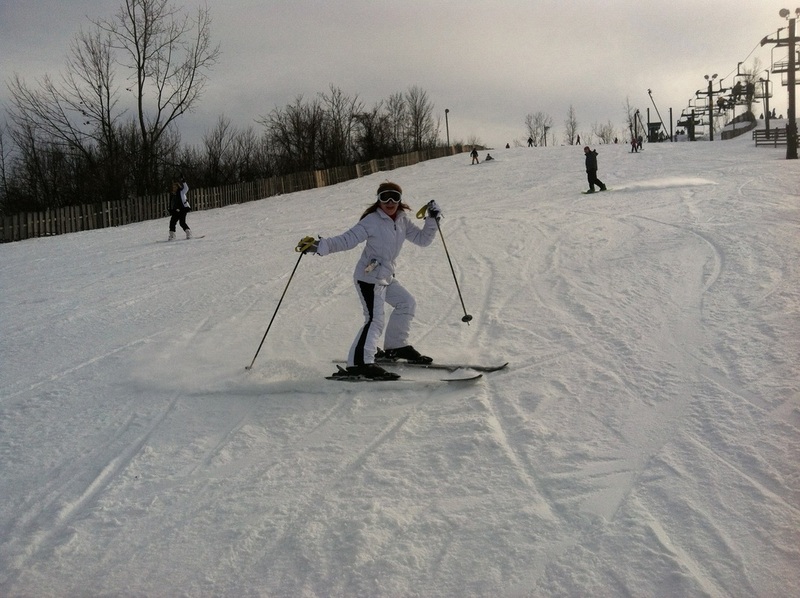 In addition to birding, my other interests are snowboarding, skiing, paintballing, ballroom dancing and playing piano. 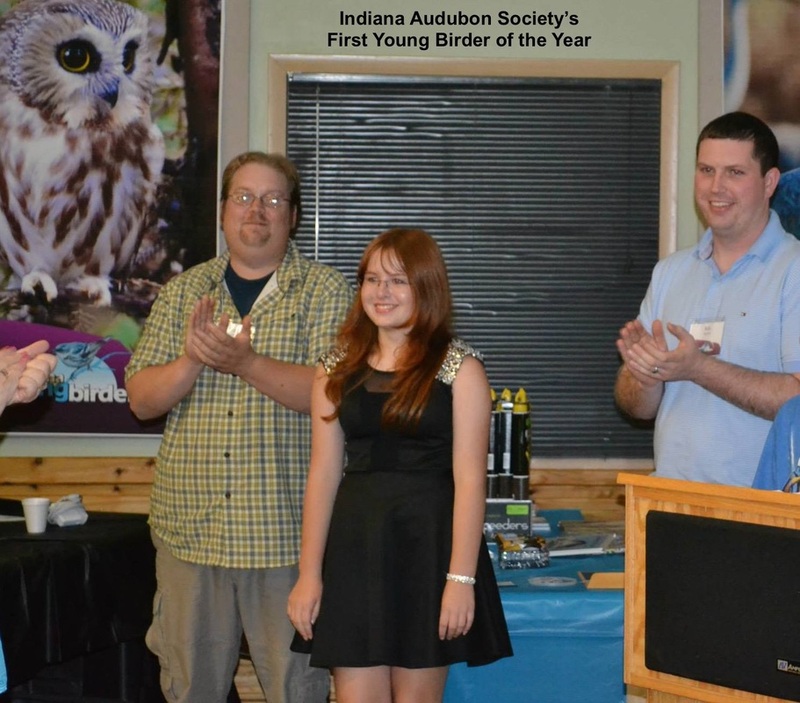 First and only Indiana Audubon Society Young Birder of the Year. Winner of the Charles D. Wise Young Conservationist Award, 2013. 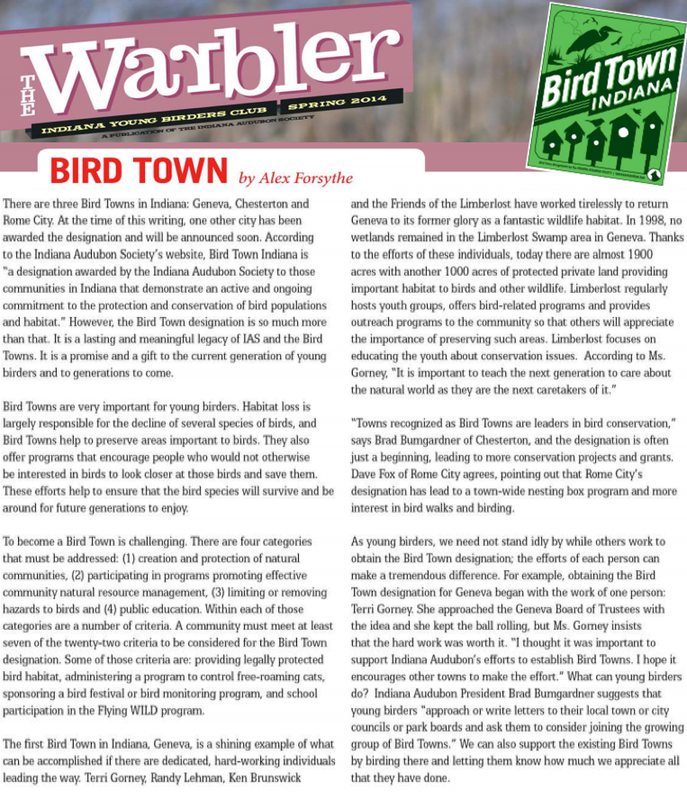 Youth Advisor, Indiana Audubon's Young Birders Club. 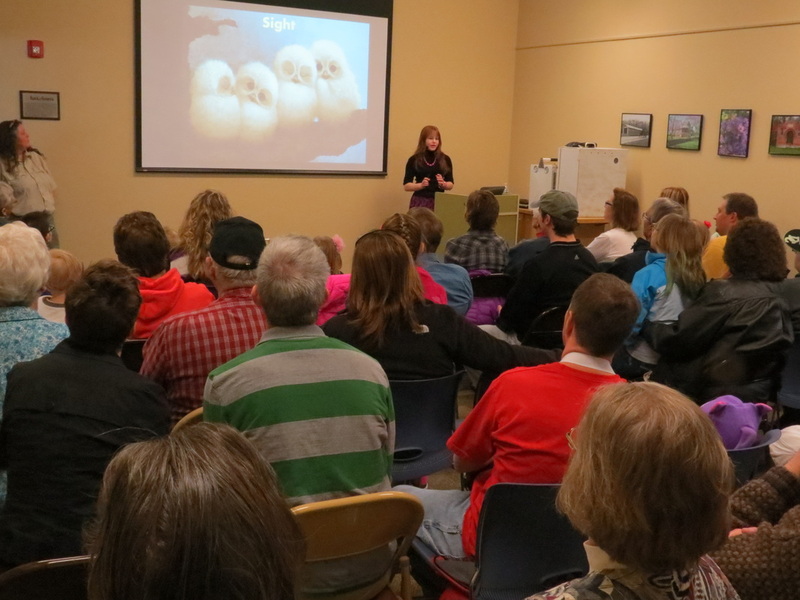 Developer of Educational Outreach Programs for the Limberlost State Historic Site. Volunteer for Soarin' Hawk Raptor Rehab, state parks, several Audubon societies and other organizations. Author of the "Bird of the Month" article for the Indiana Audubon Society website. Owner/administrator of the Young Conservationists website (YoungConservationists.org) and Limberlost website (Limberlost.weebly.com). I am always looking for more ways to help birds, and I am always searching for creative ways to help people gain a love and appreciation not only for birds, but for all of the flora and fauna that surrounds us.